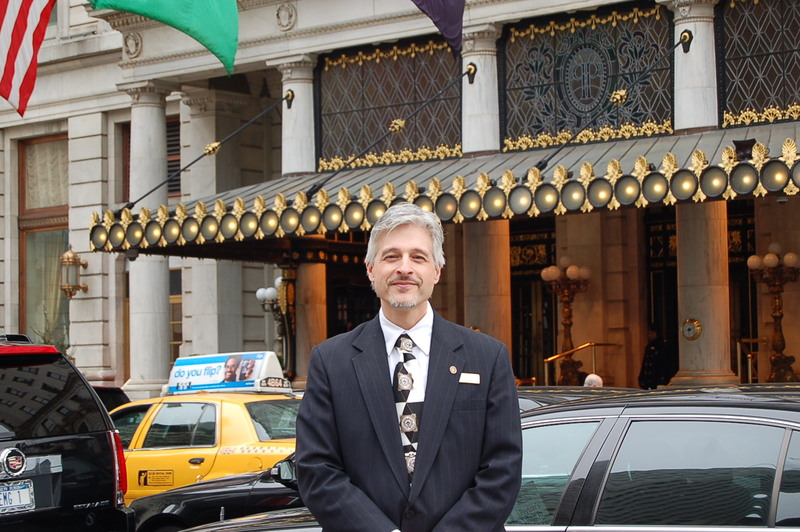 I was born in New York City, where I currently work as a sommelier at the Caudalie Vinotherapie Spa in the Plaza Hotel. Caudalie is a French beauty products company that was founded by the family that currently owns the Chateau Smith Haut Lafitte, a Grand Cru vineyard in Bordeaux. When I am not working at the Plaza, I am working on Wines of Croatia – a project I started to raise awareness and educate the public about Croatia and its wines, winemakers, wine regions, and indigenous grapes. The idea is to promote Croatian wines around the world as wines worth discovering and wines that should play a role on the international wine market. I am also interested in promoting Croatia as a wine tourism destination and want to become more involved in those activities in 2010. Right now I am focused on building a website called www.WinesofCroatia.com and sharing news and information about Croatians wines on social networking sites like Facebook (www.Facebook.com/winesofcroatia) and Twitter (www.Twitter.com/winesofcroatia). I also write a blog that showcases different Croatian wines and wineries: www.winesofcroatia.wordpress.com. 2. Visitors to the American website, ‘wine library tv,’ where you were featured as a guest and presented some excellent Croatian wines, were able to discover that your father comes from the island of Murter. Can you tell us any more of your ties with Croatia? Did you visit/still visit here often? Do you have any favorite towns, cities or regions, and why? Yes, my father was born on Murter, and I still have many relatives there, who I love to visit whenever I can (usually every 1-2 years). My first visit was in 1980, when I was 16 yrs old – my father sent me to see his hometown. That visit changed my life forever – I fell in love with Croatia and in my heart and mind, never left it. In 1989, I spent 4 months studying at the University of Zagreb, where I first started to learn the Croatian language and see other parts of the country. During the war years (1992-1996), I worked in Croatia for humanitarian organizations and spent 3.5 years in Gasinici Refugee Center helping the people there. At this time I also got to know the Slavonia region and its customs. Even though it was a difficult period of history, my time in Slavonia is very dear to me. I love to return there and enjoy some Kulen! Croatia is a beautiful country with so many interesting and lovely places to visit. Because of my work now with Wines of Croatia, I usually visit areas where vineyards are located – which also happen to be some of the most beautiful parts of Croatia. Of course I have a special place in my heart for the islands of Dalmatia and the Adriatic Sea. I especially love Kornati National Park! 3. Now that we have covered your background a little, let us get on to some wines… The number of wineries in Croatia are on the rise, as are the vintages and quality is also improving. 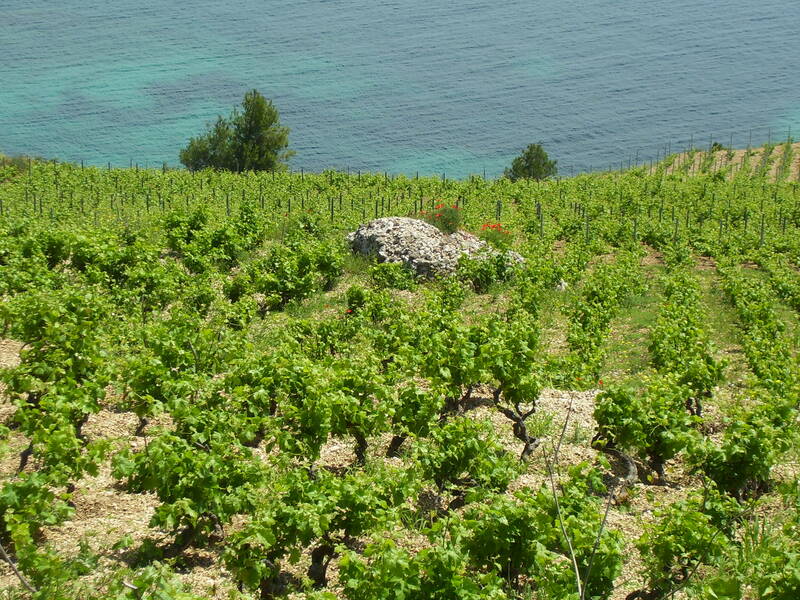 Some Croatian wines could easily be compared with more well-known and valued world vines. According to you, what is the perception of wine-lovers in America towards Croatian wines? 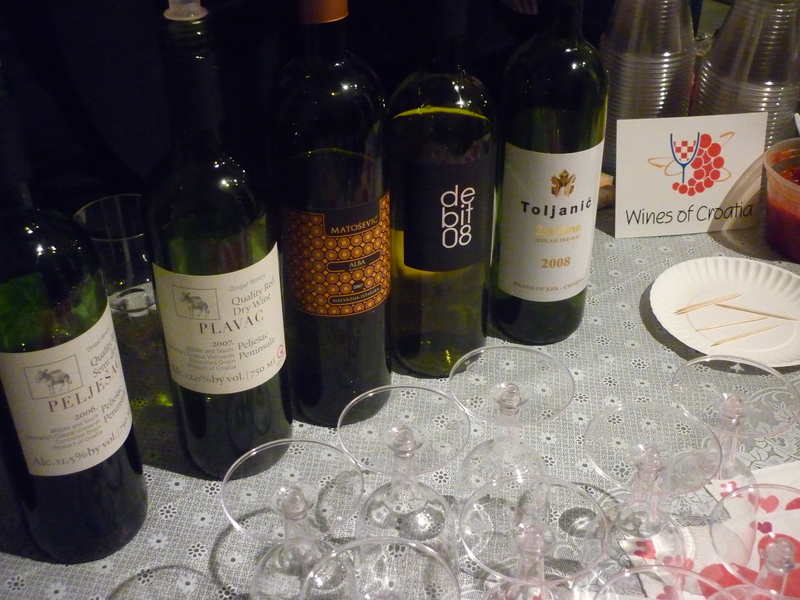 What is their availability in US stores and how do the prices of Croatian wines compare with other wines of the world? Most Americans have never heard of Croatian wines. I frequently hear the question: “they make wines there?” But this is also starting to change thanks to the hard work of the few importers of Croatian wine, a couple of wine writers, and myself – the Wine Library TV program with Gary Vaynerchuck really helped too. I am also on Facebook everyday sharing information and news. The biggest challenge for Croatian wines in the US is the price. There are many quality wines from Croatia that are very good but unfamiliar to Americans. If a wine is $50 and nobody knows it or understands it, then it will not sell. Especially now in this economic crisis, premium wines from everywhere are not selling well. Sales of Grand Cru Bordeaux and other “expensive” wines have significantly decreased, while sales of $10-$15 wines from Italy, Chile, Argentina, Spain and Portugal have significantly increased. In terms of comparison, Croatia is small and cannot compete with Italy, Chile, Argentina, Spain and Portugal, so it is very difficult to offer wines under $15. Croatia does not have the volume or vineyard area for mass production and low prices. Croatian wines are mostly small production wines from family vineyards. We understand that. Croatia is more like Greece and Austria in that respect. The only difference is, Austria nd Greece very well-funded and organized promotional agencies and marketing campaigns supported by the wineries and government. So they are able to sell the wines because of professional and well-crafted promotion that generates excitement and interest from sommeliers, restaurant owners, wine writers, and the public. Croatia does not have such a program and needs one as soon as possible. In the meantime, I will continue to do what I can to help through social networking, events and the blog. I believe that once people hear the story of Croatia and the winemakers, see the beautiful places where these grapes grow, and taste the terroir and character in these wines, Croatia will become a player on the world wine scene. I truly believe that – I wouldn’t be doing this if I didn’t! 4. Many small vintners have recently appeared on the scene here in Croatia, some of which have won prestigious Decanter World Wine Awards. 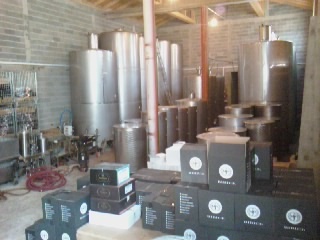 Production from these vintners is in small batches. Would you say this is an advantage or disadvantage for these, so called, world class wines? Would those wines lose on quality or distinctiveness should they move to large-scale production? 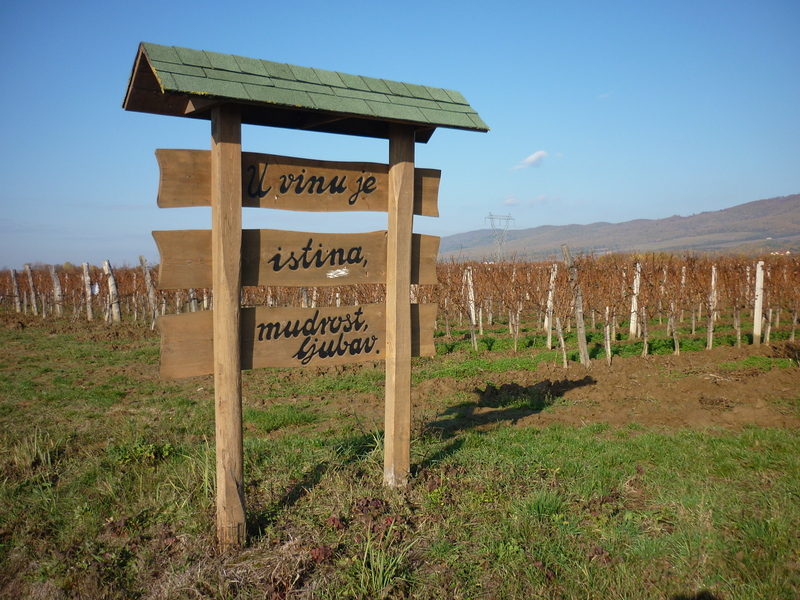 Croatia needs to stay true to who it is as a winemaking country. Certain wines, like the Bodren wines that won the Decanter awards, can never be more than small production, boutique wines. These are hand-crafted products from small, family vineyards. That is fine and there is a place on the market for those wines. But there needs to be a balance: we need more entry-level, “gateway wines” of $12-$18 that will introduce a new consumer to Croatian wines. Then once they become a fan, they will possibly try the expensive, boutique wines later for a special occasion or something. The economics of wine are simple: you need volume to make money. 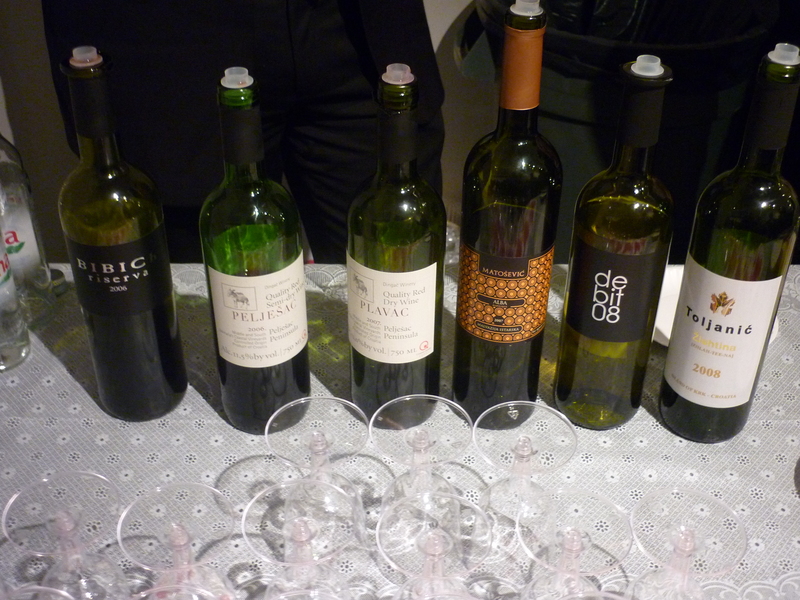 The US importers of Croatian wines have to be able to sell more low-priced wines so that they can afford to keep inventories of expensive premium wines – like the “cult” Plavac Mali wines from Dalmatia. This means that we need more wines from Croatia that are accessible and affordable to consumers ($12-$18). One of the things that significantly increases the price of a wine is oak “barriques”. Croatian winemakers use a lot of it. 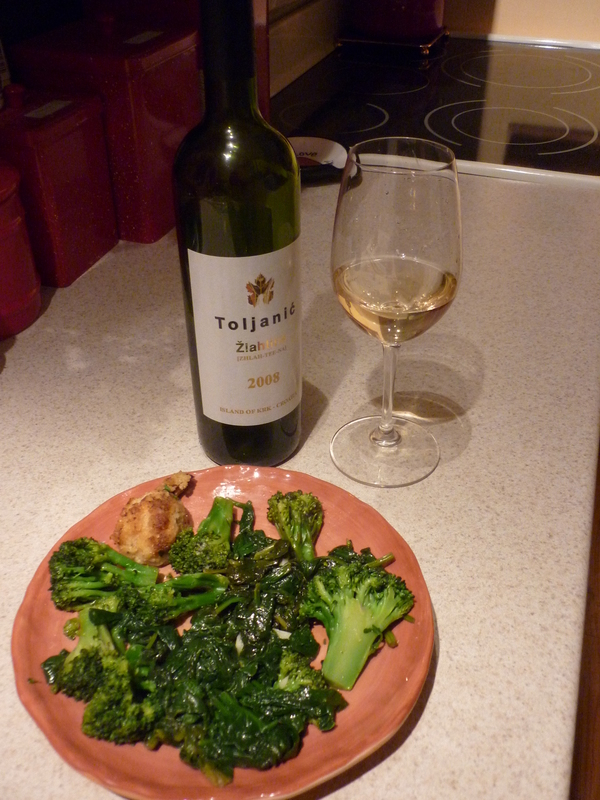 Maybe we need less oak and more pure, clean expressions of our excellent native grapes. 5. In your opinion, which Croatian grapes have the greatest potential for producing world-class wines? In your interview you mentioned Plavac Mali and Debit. There is no need to mince words regarding Plavac Mali, it was obvious you and wine library tv’s host, Gary were very impressed Are there any other Croatian wine sorts you would like to see and try? If you were able to produce wine in Croatia, in which region would you most likely do so, and which grape would you grow? I have never tried Grk from Korčula. That is on my list. Also Gegić from Pag. 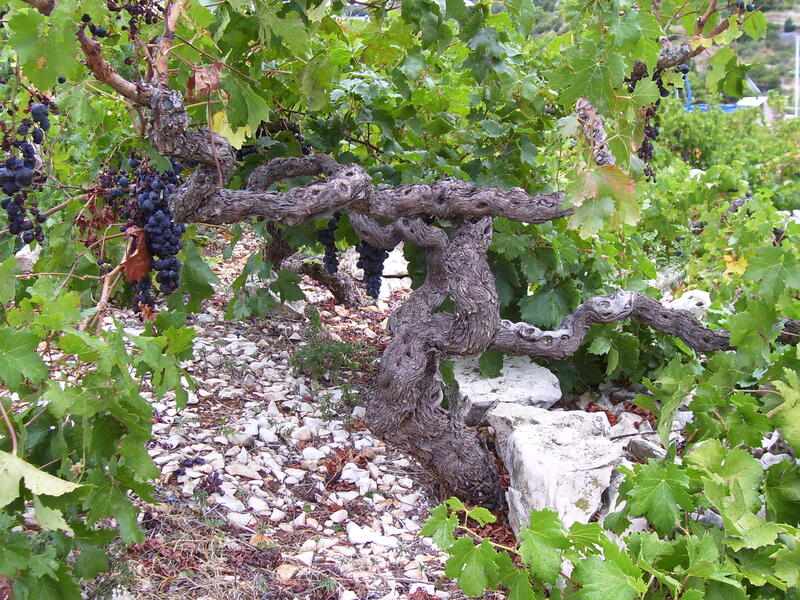 If I had a vineyard in Croatia, it would be in Dalmatia near Murter, where my grandfather once had vineyards. I would grow Babić and Plavina and Maraština. I think Babić has huge potential – possibly as good or better than Plavac Mali. We are still discovering what it can do…. 6. Have you had the chance to try any specialties from the Croatian kitchen? Is there any food that stands out, for you? Kulen. Paški sir. Bakalar. And my favorite: “lignje” fresh from the Adriatic, grilled over a wood fire or made into black risotto. 7. If you had to decide between one bottle of red and one bottle of white wine from Croatia to give someone as a gift, which would you choose, and why? I always give Croatian wines to special people as gifts. I have favorites that change all the time. I can get excited by something new or fall in love with some hidden depth of a wine I tried before. Some days wine is like an old friend, and other days like an exotic new lover. Depends on my mood. 8. You initiated a website www.winesofcroatia.com (under construction). How did you come upon this idea? Did you enter alone into this project or are other people working with you? 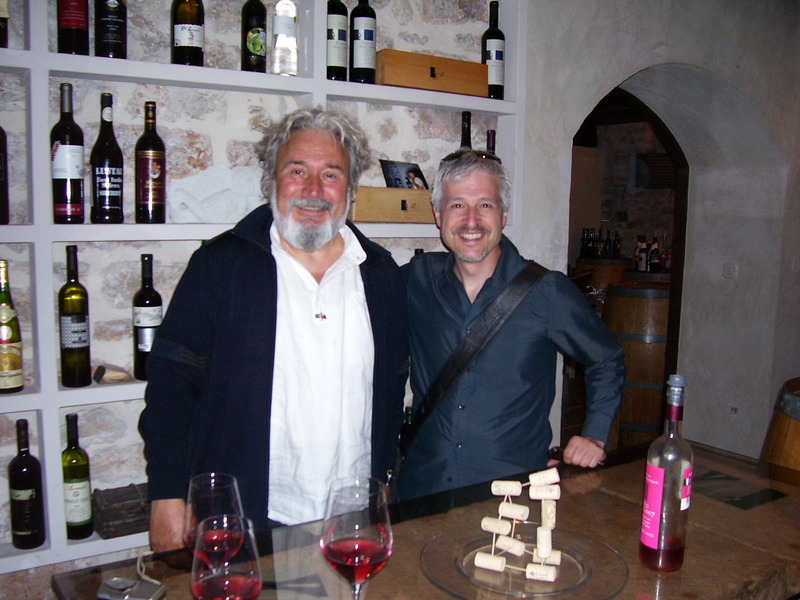 Wines of Croatia is a labor of love that I started when I realized so little information existed on the Internet about Croatian wines – or lots of tiny pieces of information in a million different places. I decided to try to pull it together in one place to make it easy for people to learn about Croatia and its wines. I work closely with the few US importers of Croatian wine, like Oneocentric, VinumUSA and Blue Danube Wine, as well as a few colleagues in Croatia, like Sasa Spiranec. 9. Along with your love of wines, are you fond of any other alcoholic beverages (beers, whiskies)? I mostly stay with wine. But I occasionally enjoy Whiskey, Bourbon, Cognac, and some traditional Croatian liqueurs such as Orahovica. Every morning I take one sip of Travarica that my uncle in Murter made. 10. Your favorite type of cuisine… American, Italian, Mexican, Chinese, or some other? Italian and Mediterranean. And I love vegetables of all kinds. 11. According to you, what is the worst possible combination of wine and food? Red wine and seafood is a tricky combination – especially red wine and shell fish. The iron in some red wines can cause bad tastes in your mouth when it reacts with the fish. Salad is also very different to pair well. You need a high acid wine to compete with the acid in the salad. If you don’t have that, the wine will seem bitter. A disaster is high alcohol wine with spicy food – it completely destroys the palate. 12. 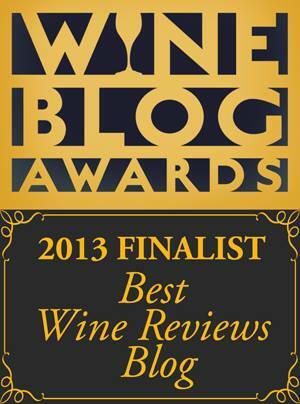 Is there anything you would like to add for our website’s visitors and wine lovers? First I want to say that everywhere I traveled in Croatia, I met such nice, hospitable people. I just want to say thank you to everyone for all the happy memories! See you again soon. Croatia is a special place: it is a country that is uniquely beautiful and environmentally clean, free of ugly over-development and full of magical, pristine, stunning beautiful natural landscapes that have huge potential for eco, gastro, and wine tourism. I feel honored to be involved with Croatia and its wines at this very important time in history. The door is opening for Croatia to be recognized as a world player in wine – let’s make it happen! ← Wine & Chocolate: Can Bura Dingač Find True Love this Valentines Day? Nice to hear more about your personal background and motivation, Cliff. Congratulations for making Wines of Croatia such a big success. Almost single-handedly you are helping to promote Croatian wines. Keep up your good work, many good wines are waiting to be discovered. Thank you very much, Frank. You too have a story to tell and have done a fabulous job of bringing these wines into the hearts, minds and glasses of west coast wine lovers. You bring admirable expertise, vision and dedicaton to the mission – we are so lucky to have you on our team! Hope to see you soon. I was informed by Charlie Sladish about your efforts in promoting Croatia on many levels. I made my 1st trip to Croatia at age 17 and have been visiting regularly ever since. Recently, my cousin from Croatia Dubravka Nezic, and I, imported our family wines for the 2nd time. 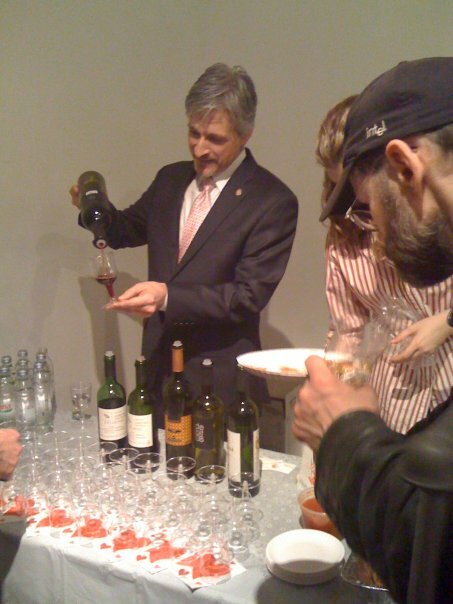 We imported to Pgh and our wines were well received. We were able to get our Croatian wines on the wine list of 1 restaurant in Pgh. I left the states in June and will be in Croatia til the end of October. I’m helping our in the vineyards and don’t want to miss ‘berba’! Right now, Charlie Sladish is helping us get the word out that we have quality Croatian Wines available: our whites ( Rhine Reisling and Welsh Reisling) retail at $14.99 and our red, Frankovka retails at $15.99 in PA. Our profit is low at these prices and in PA, as you can imagine! Our goal is to introduce quality wines at affordable prices to the states. We still have approx. 60 cases in Kansas City, MO. with Charlie and 40 cases remaining in the Pgh area. Our families are wine makers for centuries and we’ve extended our import line to include Frankovka. It seems we have the same goals! Shall we share a link or? Will you be in Croatia this summer so we can talk? We would love to hear from you, Cliff. We don’t have any real contacts except Charlie. He’s talking with Vinum and Classique Wines. We are hoping they’ll be interested in our wines. I’m a psychologist by profession and my cousin, Dubravka is an attorney, educated in Croatia and the USA (Master of Laws. We both became weary of our professions and are committed to the cause! We have other websites, including http://www.WineBarrelsforYou.com that we could post a link of yours. I’m enjoying the info and share the same passion! 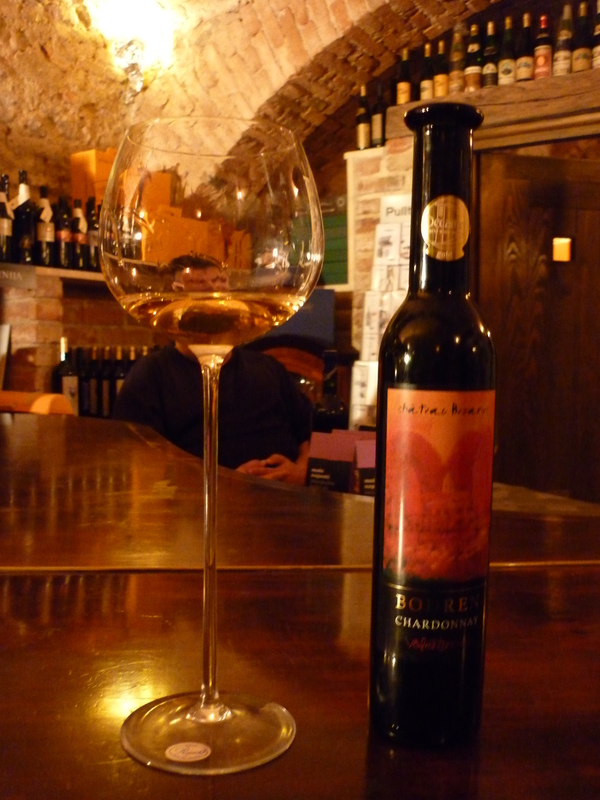 Let’s not forget that the continental wines of Croatia also have value and quality. We’ve enjoyed many quality wines from the Plesivica-Okic region including Welsh Reisling from Nezic Winery in Jastrebarsko. Haramija Winery in Plesivica offers: Pinot Noir, Rhine Reisling, Grasevina and Chardonnay. Portugizac, a red young wine, is also produced in this wine region. 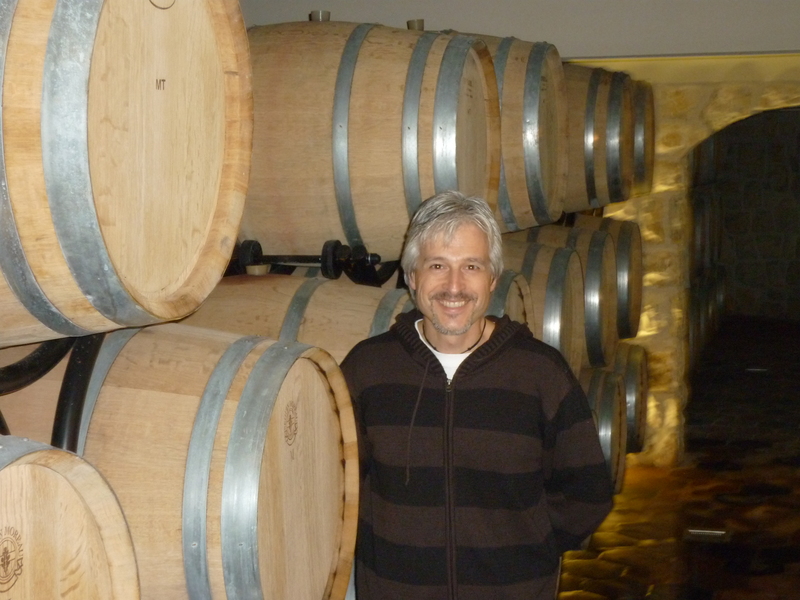 I am very interested in the Haramija Winery in Plesivica. My grandfather immigrated to the states from that area so there is a faint possiblity of a relaton. Is there any importers of this winery? 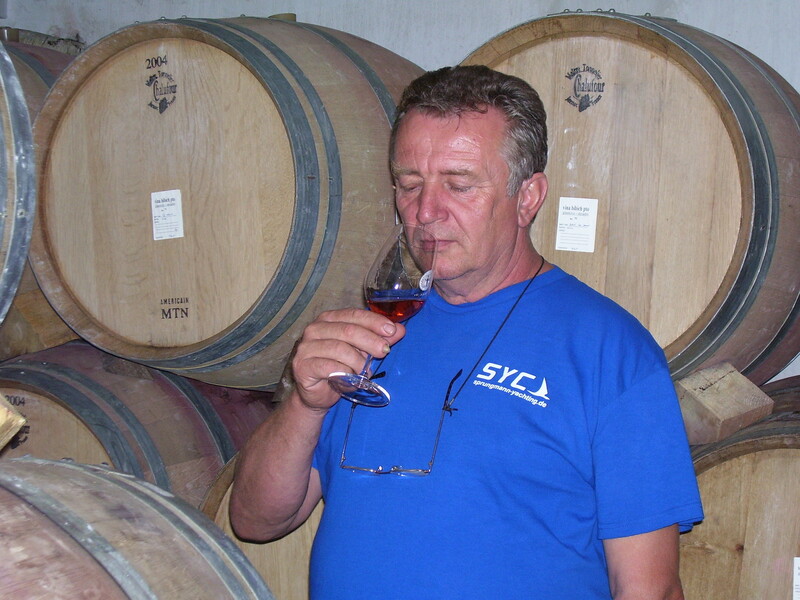 Presently, we are importing a Rhine Reisling from Uncle Tomek Haramija’s winery in Plesivica. Dubravka’s grandfather was a Haramija, Vjekoslav Haramija. The Haramija family is from Plesivica (my cousin, Dubravka,wine importer was born in Croatia). My cousin, Dubravka says she is not aware of any relative Haramija who immigrated to the USA. Her grandfather was killed by the partisans after WW2 at age 29. Her grandfather’s brother, TOMO died March 1997 and sister, Milka died 10/2004. These were very fine people! Maybe there is a relationship? Maybe these names are familiar. My grandfathers name was Franjo Haramija and immigrated to the US aroud 1908, and was from the vivodonia area. Unforunately that is all the Information I have.